I am pretty proud of this one since I created the artwork myself. 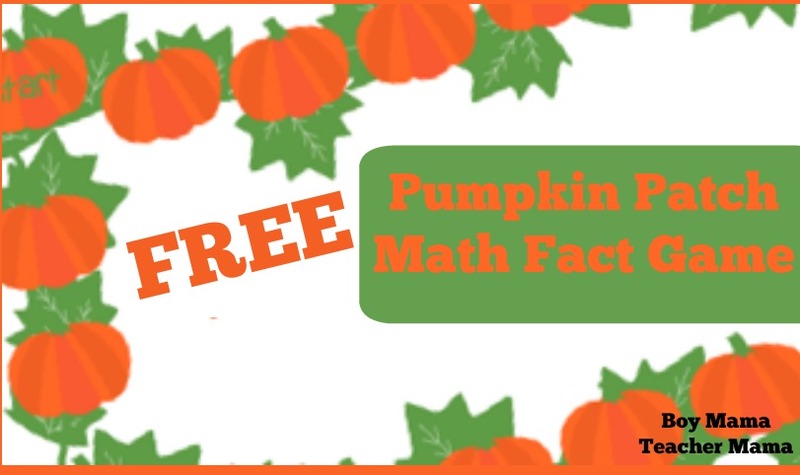 🙂 This is a simple fall themed game for practicing addition and/or subtraction. To download this game, simply click the image below. Print the templates and glue the two pages of the game board together. Decide if the students will be practicing addition or subtraction. Players roll two dice, add them together (or subtract) and move that many spaces. The goal is to make it back to start.